Confession: For the first time I’m nervous to ride my pony. Ferrous and I have a wonderful relationship and I couldn’t be happier with him. 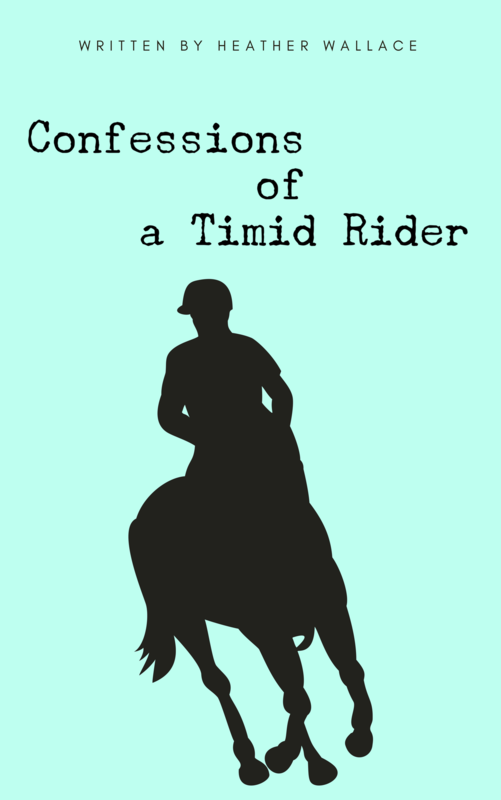 He’s predictable but challenging, something that makes a timid rider like me feel infinitely more comfortable. More, we’ve built a bond over the last year. In doing so, I can read him really well. Last week he came down with a facial infection causing open sores, scabbing, and oozing all over his cheeks, chin, nose, and forehead. The first day of onset he was quite lethargic and stiff, even going so far as to allow another horse lead on a short ride down the hill and back, something he normally never does. While most owners would be elated, I knew that he was “off”. I immediately asked my trainer and then called the vet for evaluation. Pretty quickly after his medicated shampoo and salve treatments, Ferrous began feeling better but he was limited as he couldn’t wear a halter or bridle. So we tried running around the arena, which he thoroughly enjoyed until he dead stopped and rubbed his clean and sanitized face through the dirt. He was let back out into the paddock where he calmly grazed with his friends. But he went from being ridden three times a week to nothing at all. Normally, not a problem for him. On Sunday I brought my friends from Awesome Gal to the barn to meet Ferrous and see my beautiful home away from home. Ferrous was spooking himself and just really fresh. The next day I had every intention of riding him with a halter, or using my western bridle for relief, but bringing him just outside the stall he was prancing, tail in the air. This is the opposite of his normal behavior and I just did not feel comfortable getting on him. Luckily the round pen was free, so I took him there for the first time. We walked passed very scary things like a tractor, tarp, and even a dumpster but he took it in stride with some snorting, stopping, and prancing. Luckily no wheeling like the day before. The placement of all these “monsters” wasn’t ideal but I didn’t have much of a choice where the owners parked them. Once in the round pen, I let him sniff a bit before I asked him to trot. We had done some lunge work in the past, but he gets bored. More, he is incredibly smart and we’ve been working on our bond and my communication. So this was a first for both of us. With only a lead rope in my hand we started and did trot both directions with turning to the inside and inviting him to come to me in the middle. He did beautifully! I know that I can now work on being even more subtle with my cues as he is quite attuned to me. Only once did he spook at something while in the pen but he quickly recovered and then kept going like it never happen. I thought to myself, “I guess we could have ridden after all.” He showed me that I need to trust him more, a theme that comes up often. But…then we exited the round pen. That was fun. Suddenly he remembered there was a tractor, and a tarp, and in hand he decided to act nervous again. Less than before, but still there. Snorting dragon style. I’ve been encouraging him to explore and smell the things that make him nervous and then giving him a treat when he does well. I’m becoming more confident with the things that I try, and trying to step out of my comfort zone the same way that I am encouraging my pony to try new things with positive reinforcement. I need to give myself and my horse more credit and realize that while we may not be perfect, if we don’t try then we will never get better. So, I bit the bullet and mounted up. My pony never ceases to surprise me in the best ways. He was a little stubborn, not wanting to move forward- the opposite of what I assumed he would be! Not only did we walk/trot/canter beautifully after he realized I was not allowing him to walk the entire time, but we really moved with impulsion, using his topline. Was it perfect? NOPE. But I didn’t let my nerves get in the way. Even better, he felt so good that my 8-year old daughter was able to ride him in her lesson. He was so perfect that she even felt confident trotting him off lead, something which she has been timid about recently because he has a big trot. Keep moving forward timid riders! It happens. A few weeks ago I was going to do a lesson in the covered arena. Rain was beating down, the top was making noise because the wind was so high and it was cold. Paladin was a bit stiff and “up” but normally I would have gotten on, walked circles, done some hips over maneuvers and I would have been fine. That day was not the day. I got really scared (more than in YEARS) and I immediately went to “it’s my fault and I will make my horse worse”. My instructor was great about talking to me, and asked me if I wanted to do ground work. We did new types of ground work and it was instructive and my horse was just better and better. I walked him back to the barn and the rain broke a bit. So I went to the open arena, got on and rode alone for about 10 minutes. By then the rain was pounding and I was laughing at myself and appreciating my wonderful guy. Thank you for giving me a place to express this.